Let everyone know that you bring the pain when it comes to console action. A funny Nintendo zapper shirt for all of us old school gamers. This shirt is available in black, navy blue, and chocolate brown. This retro shirt features a light gun that’s ready to rumble. People will know that you mean business. 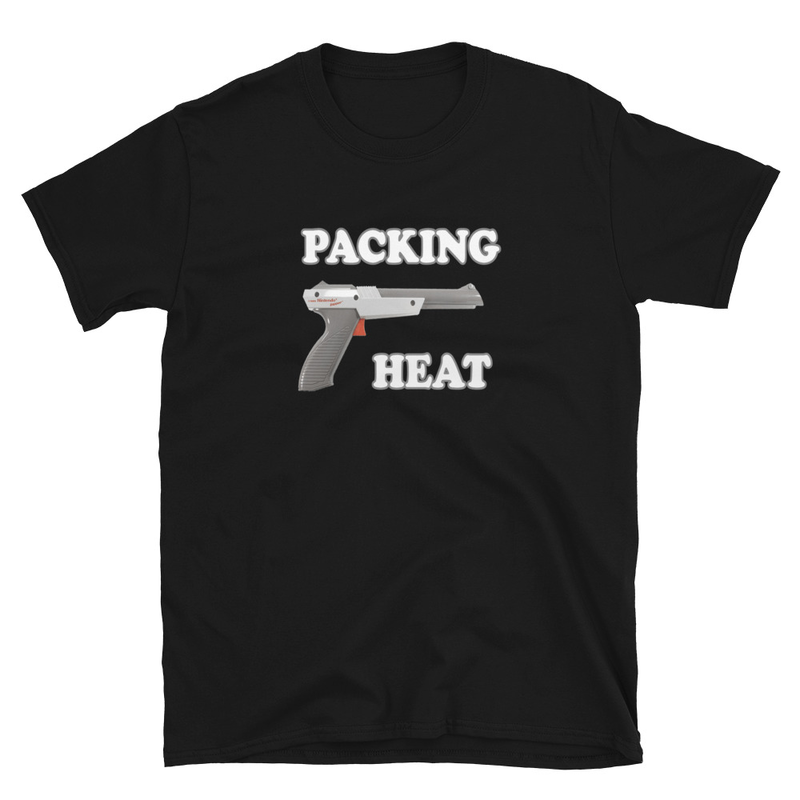 Be the first to review “Packing Heat” Click here to cancel reply.